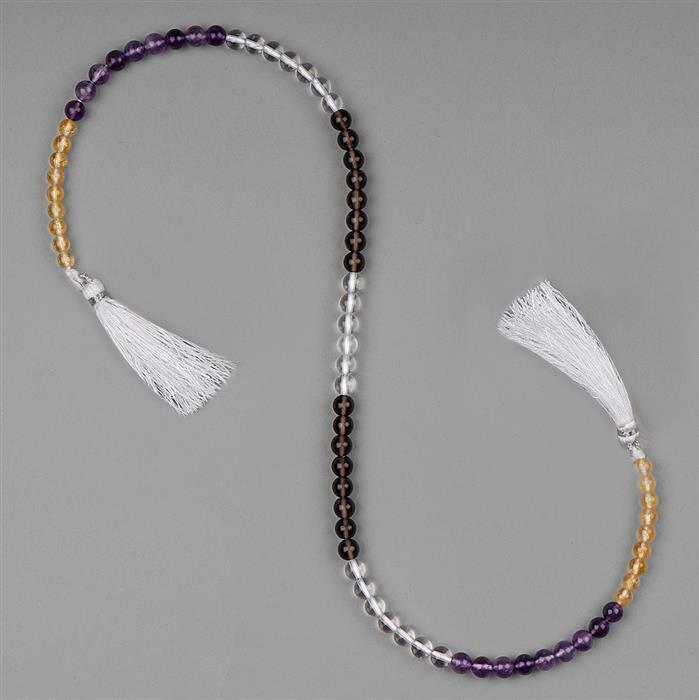 100cts Amethyst, Citrine, Smokey Quartz & Clear Quartz Graduated Plain Rounds Approx 4 to 6mm, 38cm Strand. 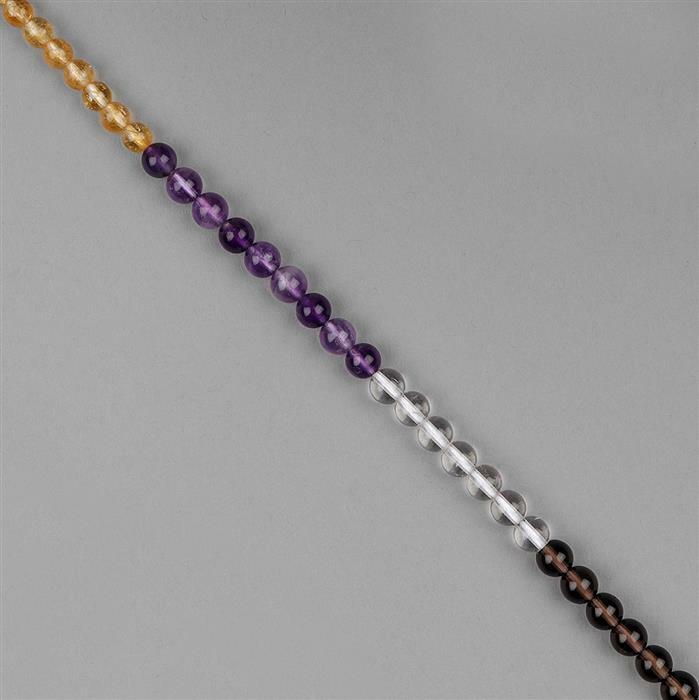 Get creative with these beautiful strands of Amethyst, Citrine, Smokey Quartz & Clear Quartz Plain Rounds. Add them to your jewellery collection today!